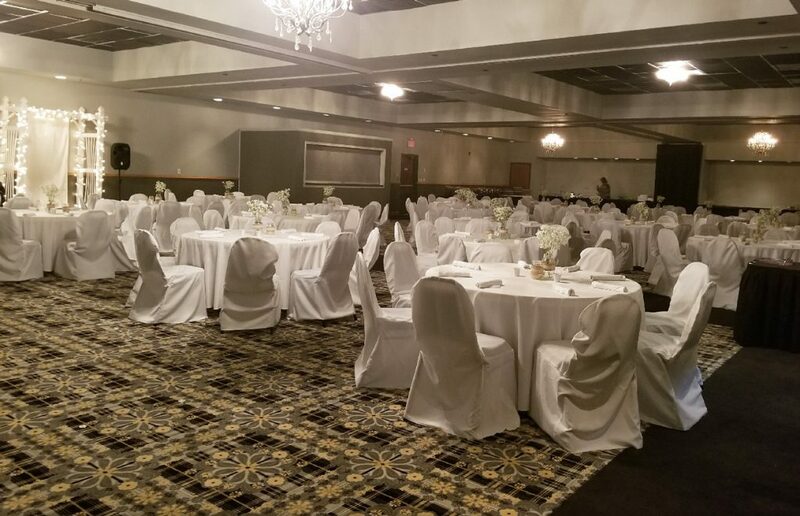 The Route 66 Hotel & Conference Center is the perfect place for your banquet, wedding reception or special event. 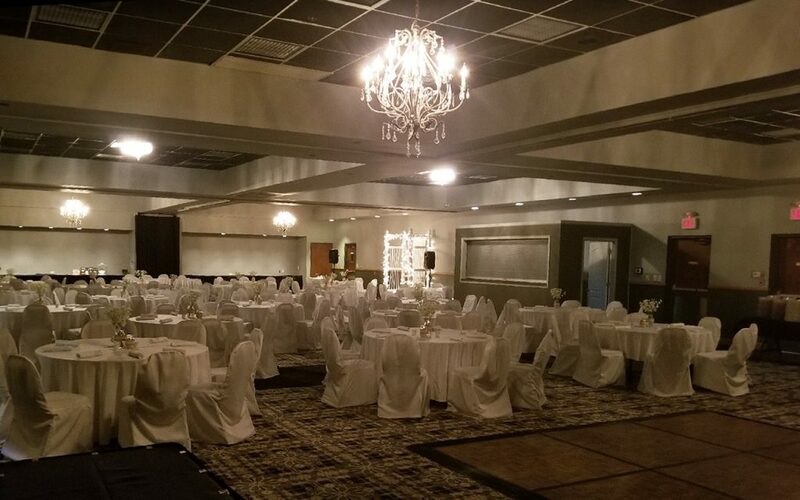 Our spacious and accessible Banquet Hall and Convention Center has over 5,000 square feet to accommodate any type of event or function. 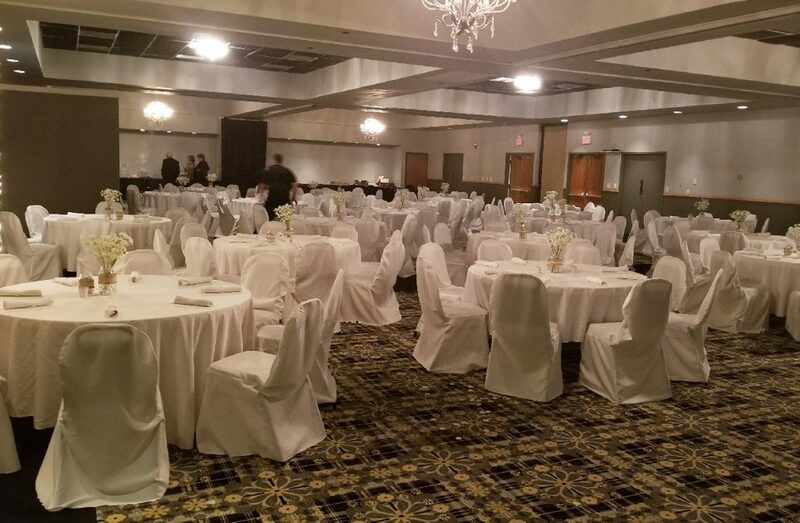 We can host up to 300 guests or as few as 5 to 25. 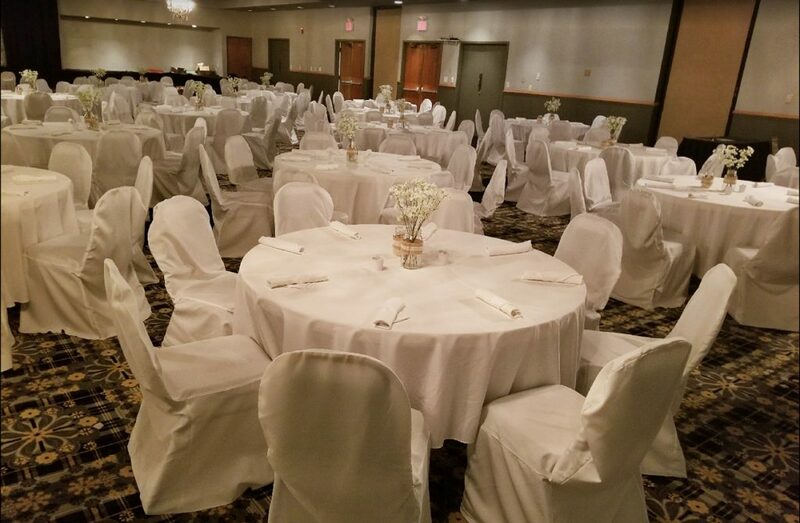 The Route 66 Hotel & Conference Center’s friendly staff is always available to assist with every detail in order to make your event one to remember. 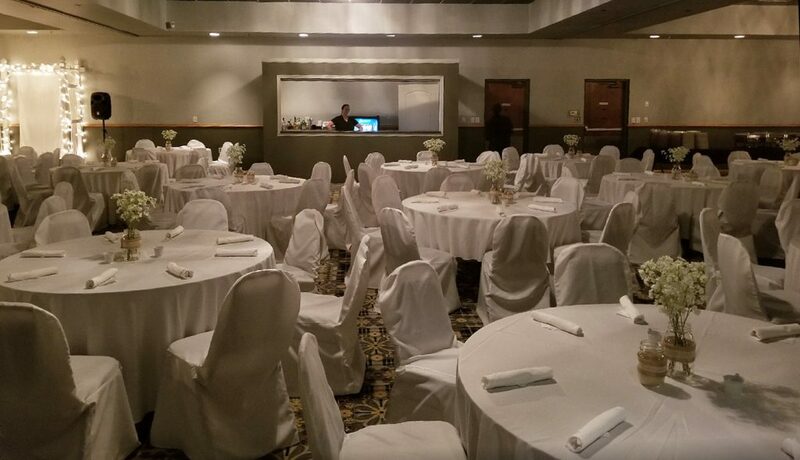 Sound system and background music, tables, chairs, full china service, all linens, and simply elegant centerpieces. 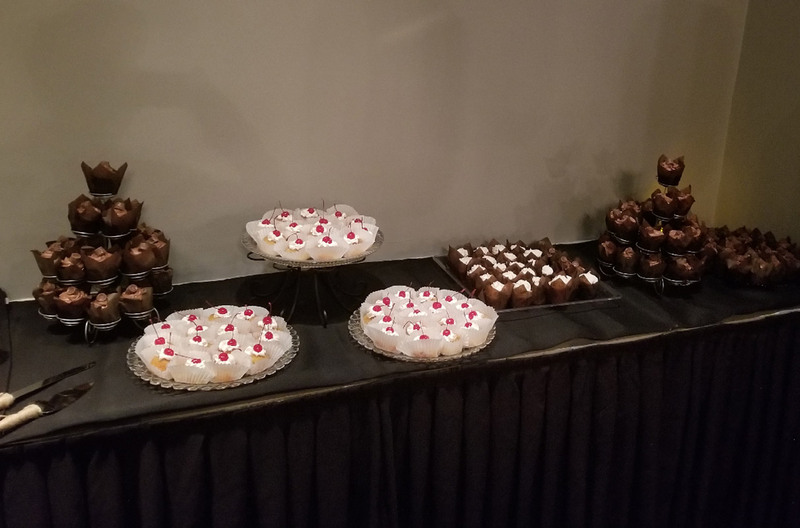 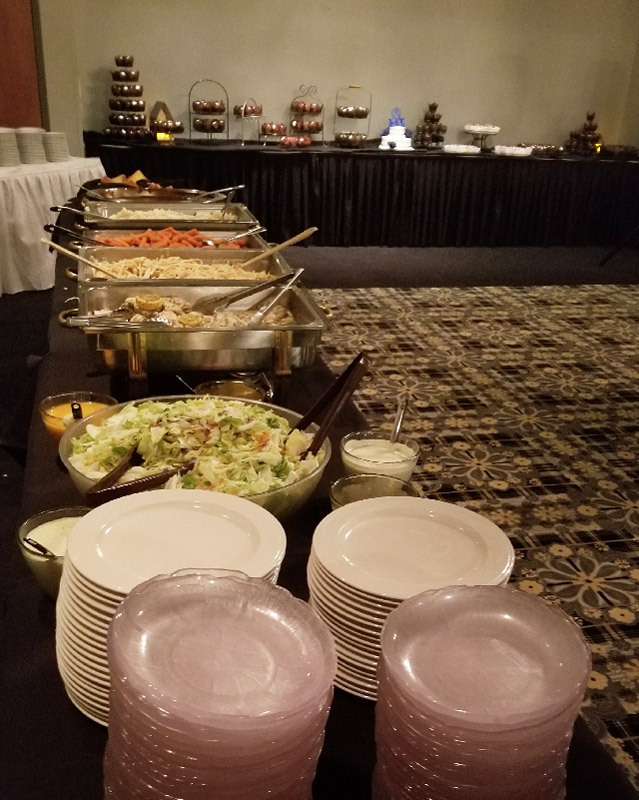 We can accommodate smaller groups for showers, birthday parties, anniversaries, presentations, holiday parties, and more. 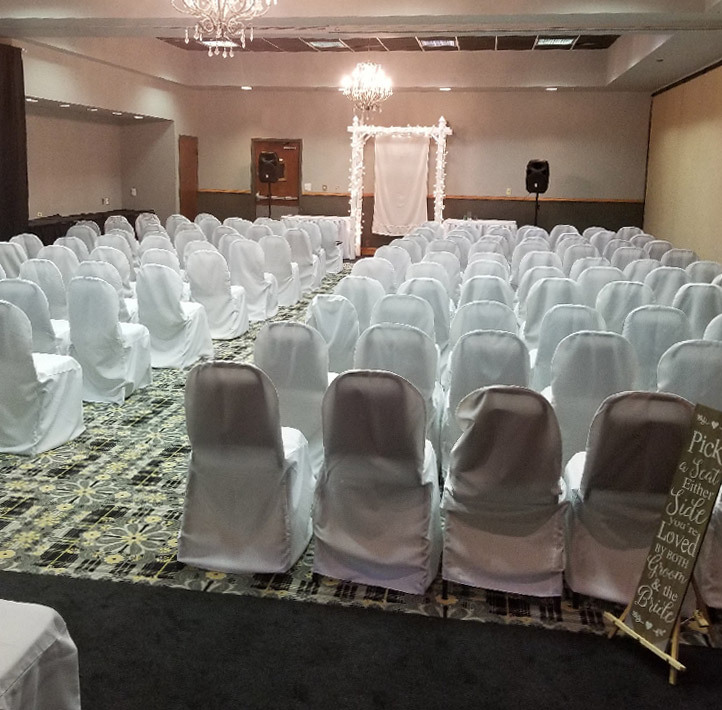 Our wedding packages can be customized to create your dream wedding at affordable prices. 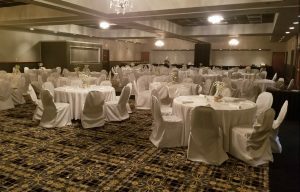 Let us help make planning and budgeting your wedding easy! 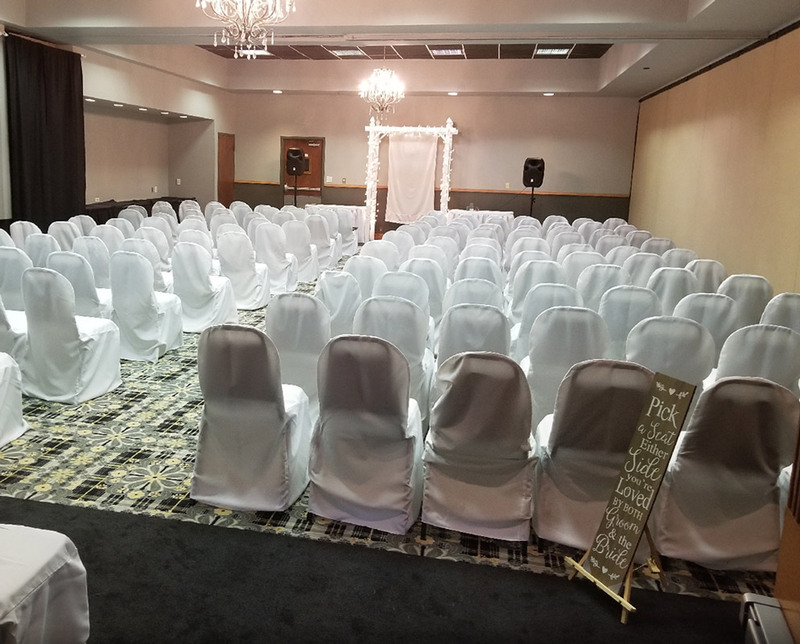 Our convenient location is easy to get to from everywhere. 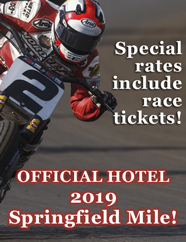 Guests can stay, and keep kids, adults and pets happy at the Route 66 family-friendly and pet-friendly hotel! 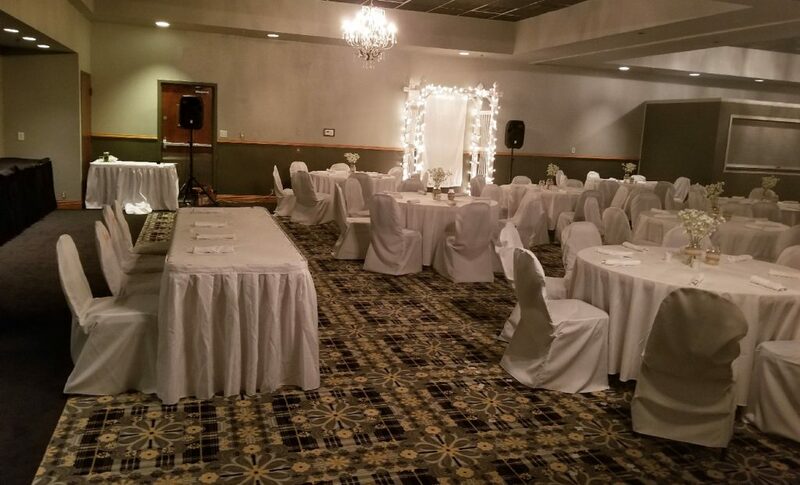 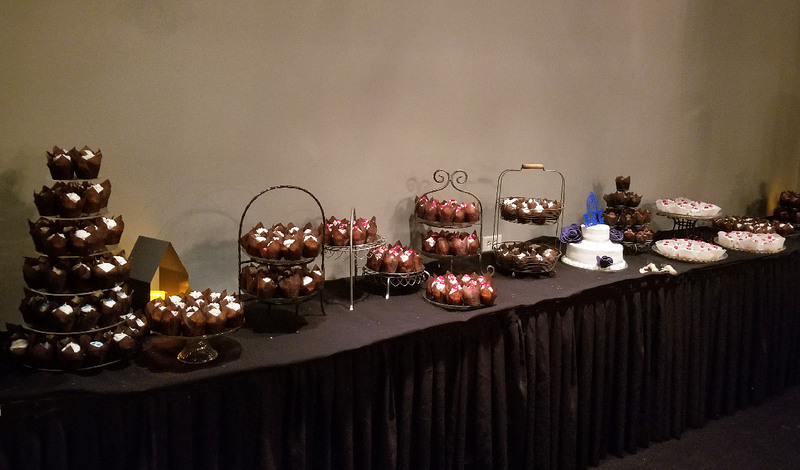 Call us now at 217-529-6626 – find out how easy your wedding or special event can be!